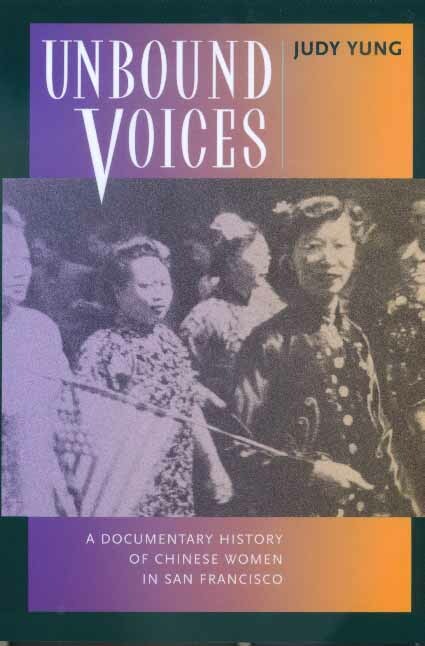 Unbound Voices brings together the voices of Chinese American women in a fascinating, intimate collection of documents—letters, essays, poems, autobiographies, speeches, testimonials, and oral histories—detailing half a century of their lives in America. Together, these sources provide a captivating mosaic of Chinese women's experiences in their own words, as they tell of making a home for themselves and their families in San Francisco from the Gold Rush years through World War II. The personal nature of these documents makes for compelling reading. We hear the voices of prostitutes and domestic slavegirls, immigrant wives of merchants, Christians and pagans, homemakers, and social activists alike. We read the stories of daughters who confronted cultural conflicts and racial discrimination; the myriad ways women coped with the Great Depression; and personal contributions to the causes of women's emancipation, Chinese nationalism, workers' rights, and World War II. The symphony of voices presented here lends immediacy and authenticity to our understanding of the Chinese American women's lives. This rich collection of women's stories also serves to demonstrate collective change over time as well as to highlight individual struggles for survival and advancement in both private and public spheres. An educational tool on researching and reclaiming women's history, Unbound Voices offers us a valuable lesson on how one group of women overcame the legacy of bound feet and bound lives in America. The selections are accompanied by photographs, with extensive introductions and annotation by Judy Yung, a noted authority on primary resources relating to the history of Chinese American women. Judy Yung is Associate Professor of American Studies at the University of California, Santa Cruz. She is the author of the award-winning Unbound Feet: A Social History of Chinese Women in San Francisco (California, 1995), Chinese Women of America: A Pictorial History (1986), and Island: Poetry and History of Chinese Immigrants on Angel Island, 1910-1940 (1980).